Opening Caribbean-themed restaurant is a little bit tricky, but it can be the best idea if you want to stand out. What do you think when you hear the word “Caribbean”? I immediately think about sun, blue sea, white sand, their fun party, and the perfect tropical ambiance like in Indonesia. However, there is something exotic in this archipelago, especially their cuisine. Caribbean is blessed with rich land and various crops. They also have their wonderful mixture of spice. The foods are different, but somehow familiar with our tongue. Making a Caribbean-themed restaurant is a little bit tricky. However, it can be the best idea since you can be the one that stands out. Here are some advices to help you preparing one. Having a Caribbean restaurant means extra effort in making an excellence business plan. We are talking about a fresh start-up where we might be a pioneer in our location. Caribbean food is all about fresh, high quality ingredients. Hiring a Caribbean food expert in your kitchen is also recommended. The cooking technique itself does not require fancy and sophisticated equipment, but you need to invest in reliable kitchen equipment. Thus, buying second-handed equipment can be a good option. In a restaurant business, finding a perfect place is a must. You will bring a new concept, thus you need to open in a strategic location renowned with customer who loves to try something adventurous. Investing in good location is never a bad investment since it helps a lot to gain customers and reducing the cost for promotion. The perk of decorating with Caribbean theme is you can easily find all the beach elements you are familiar with here. 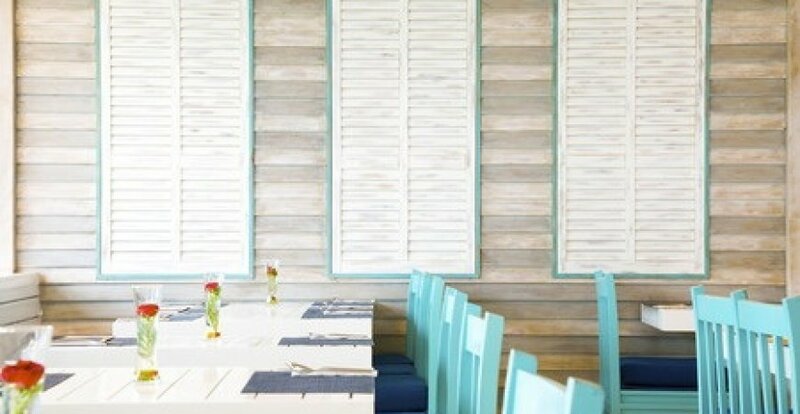 The essential is bringing beach happiness with touch of bright colours and sandy nature ambiance. Caribbean decorating is also about gathering multicultural ornaments. They are touched by cultures of African, Native American, Indian, Arabian, Chinese, and European brought to the islands when they came to the islands. However, gathering too many elements will not be effective as it eliminates the airy ambiance you should have. A little advice on decorating is staying simple with one center of attention such as big palm tree or Caribbean statue. The rest is colour play and the choice of furniture with natural material. Caribbean cuisines are very rich. They are influenced by multicultural influences from many countries. Every region in Caribbean islands has their own style as well. However, since the land produces almost the same crops, the differences are subtle. “The essential of Caribbean cuisine is our fresh ingredients. We use meat, seafood, fresh crops like sweet potato, tomato, coconut, olive, and beans, as well as rich spices and herbs like ginger, pepper, onion, celery, coriander, and garlic. Cooking is not just about food, but also a part of our culture,” said Jethro Wirht, a Caribbean-specialized chef. If you want to open one, make sure you adjust with local taste. You can choose Cuban sandwich with meat and gooey white cheese, spicy jerk barbecued meat, rich vegetable and meat stew, served with your selection of carbohydrate such as polenta, plantain, or herbed rice in the menu. To close the meal, you can serve various Caribbean desserts like rum cake or key lime pie. Whatever menu you choose, the key is researching and adjusting. Caribbean cocktail and mocktail selection are the best. They are refreshing and make the perfect thirst quenchers. Caribbean cocktails are strongly associated with rum. They also use fresh fruit to enlighten the flavour up. The cocktail tastes sour with a hint of tropical sweetness. Pile some good rums and fresh fruit like pineapple, orange, lime, and papaya to make beverages. Put mojitos, pina colada, fruit punch, blue curacao, and fresh beverage selections in your beverage menu. Do not forget the virgin option with eliminating rum. Add soda water and good quality syrups to give the mocktail some zing. For the decoration, sticking to the natural element and tiki bar style can be a good idea. It also gives extra touch in decorating elements.